This opinion piece appears in the Febuary edition of 'Matters of Substance', the magazine of the New Zealand Drug Policy Foundation. As a new high-profile group is established in the US to fight legalisation, Steve Rolles, a long-time advocate for regulating drugs, considers how recent reform victories are reshaping the landscape of the oldest debate in drug policy. The debate around the legalisation and regulation of cannabis has been with us since the 60s, but recent years have seen it move increasingly from the margins into the political mainstream. In the US, support for legalising cannabis has crossed the 50 percent threshold; even in the spiritual home of the War on Drugs, and despite bipartisan political hostility, a majority now support an end to cannabis prohibition. Last November, the issue made the decisive move from theoretical debate to political reality as the states of Washington and Colorado passed ballot initiatives that not only legalised personal cannabis possession for adults but also set in motion the first regulated markets for non-medicinal cannabis anywhere in the world. If, as seems likely, the laws are implemented (the federal government is still considering its response at time of writing), this will represent the first real breach in the global prohibitionist regime. While reform advocates have been understandably jubilant, for opponents, a strategic rethink has become necessary, perhaps best represented by a new group called Smart Approaches to Marijuana. This initiative is led by Kevin Sabet, a US Office of National Drug Control veteran under three administrations and probably the highest profile opponent of cannabis legalisation in the US with hundreds of print and broadcast credits to his name. Sabet is supported in the SAM leadership team by former congressman Patrick Kennedy, journalist David Frum and a group of academics and medical professionals. The SAM project appears to represent a clear strategic repositioning for Sabet and, by inference, the wider coalition of cannabis law reform opponents. Most striking is the recommendation that cannabis possession should become a civil offence and that criminal records for possession be expunged. 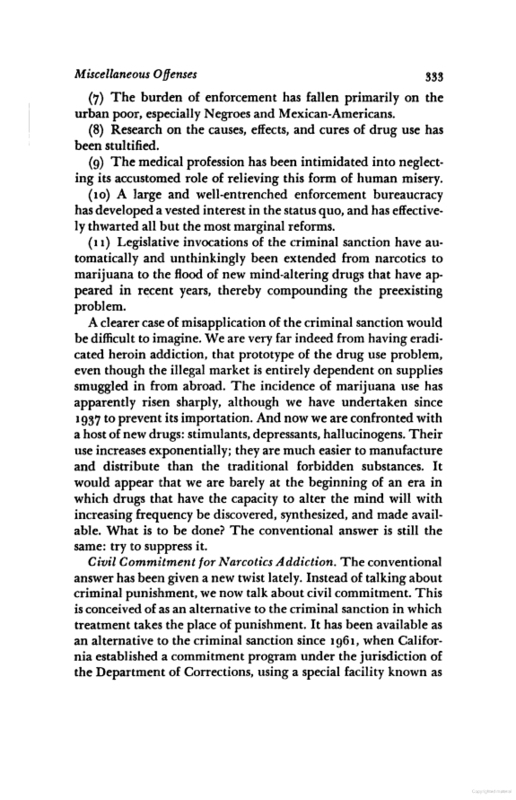 The additional requirement for a “mandatory health screening and marijuana-education program as appropriate” has met with indignation amongst some US reformers, but suggestions that SAM advocates mandatory rehab are not supported by the text on the site (referrals to treatment are specifically advocated only "if needed"). While the term ‘decriminalisation’ does not appear, it is precisely what is being advocated by most definitions used in drug policy (closely mirroring the Portuguese decriminalisation model, albeit only for cannabis). It is a significant shift for Sabet who, as recently as April 2012, was writing of decriminalisation that “such a policy may actually make us worse off” and flat out that it “won’t work”. It would be gratifying to think his group has been convinced by reform arguments or evidence from 14 US states and 25 or so other countries around the world that have already adopted decriminalisation models. However, equally plausible is the dawning realisation that decriminalisation, at least of cannabis, is now a political inevitability and Canute-like defiance is futile. Obama’s recent statement that ‘we’ve got bigger fish to fry’ (than arresting cannabis users) suggests that SAM may also be echoing (or informing) shifting priorities at federal level. 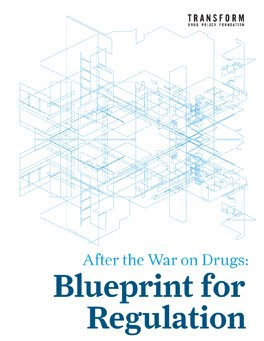 There is certainly considerable convergence between the SAM proposals and the US Office of National Drug Control Policy’s talk of a third way (between the extremes of legalisation and a War on Drugs) and retreat from more hawkish War on Drugs rhetoric. Some hardline prohibitionist groups, however, seem determined to dig in. The World Federation Against Drugs for example, describes advocates of decriminalisation as “driven by greed, disrespect of human rights and lack of understanding of the harms of drugs and of addiction”. SAM by contrast, appears to be conceding on decriminalisation but drawing a line in the sand on legalisation regulation. The arguments against legalisation are familiar, with, perhaps unsurprisingly, “cannabis use is harmful” front and centre, supported by extensive detail and references. For Transform, debating the risks of cannabis is a distraction from the more salient point that, however risky cannabis is, it is more risky when produced and supplied via an unregulated criminal market (and this is quite aside from the harms of that criminal market). Cannabis needs to be legally regulated because of its risks, not because it is safe. Regulation is a blank slate; governments can establish any legal and policy framework they deem appropriate. As demonstrated by Uruguay’s proposals for a state monopoly on cannabis supply and the emerging non-profit cannabis cooperatives in Spain, a commercial model is far from a given, let alone one that “will act just as the tobacco industry acts” as SAM dramatically proclaims. Indeed, the tobacco industry has seen increasingly strict regulation of dosage, price, packaging, public consumption, branding and marketing over past decades. In much of the West, even in the US, these smarter approaches to tobacco (regulatory tools are impossible under prohibition) have helped dramatically reduce tobacco use in a matter of decades at the same time as cannabis use has been rising. A new poll by Ipsos MORI, commissioned by Transform Drug Policy Foundation, shows that over half of the public (53%) support cannabis legalisation (legal regulation of production and supply) or decriminalisation of possession of cannabis. Only 1 in 7 support heavier penalties and more being spent on enforcement for cannabis offences. In addition, the survey shows that around two thirds (67%) support a comprehensive independent review of all the possible policy options (from legal market regulation to tougher enforcement) for controlling drugs. The findings indicate that 45% of mid-market newspaper readers (including Daily Mail and Express readers) support cannabis legalisation (legal regulation of production and supply) or decriminalisation of possession of cannabis, with less than one in five (17%) supporting heavier penalties and more being spent on enforcement for cannabis offences. For tabloid readers these figures are 47% and 20%. Around 65% of mid-market newspaper readers and 66% of tabloid readers support a full review of all drug policy options. A spokesperson for Transform said: “These results show just how far ahead of politicians the public are. Whilst Labour and Conservative politicians shy away from the debate on drugs, around half of their supporters want to see legal regulation of cannabis production and supply or decriminalisation of cannabis possession, and a significant majority want a comprehensive review of our approach to drugs – including consideration of legal regulation. The poll demonstrates that even amongst Daily Mail readers, almost half support less punitive approaches to cannabis, and a majority back an independent review of all options, which may come as a surprise to the paper’s editors. Ipsos MORI carried out the survey, on behalf of Transform Drug Policy Foundation, between 25th January and 5th February 2013. A sample of 946 British adults aged 18+ completed a face-to-face survey via the Ipsos MORI omnibus. The data has been weighted by gender, social grade, age, region, working status, housing tenure and ethnicity to reflect the known local population profile. Given the subject matter, questions were presented to respondents on showcards with options reversed for some respondents. Respondents read out a letter to indicate their response. Q1 was a split sample question: half sample were asked Q1A half sample were asked Q1B. Q1A. Possession of illegal drugs is currently a criminal offence in the UK. Some other countries have ‘decriminalised’ possession of small quantities of illegal drugs for personal use. This means that possession of a small quantity for personal use is usually punished with fines (like a speeding fine), or attendance at a drug treatment or education programme, rather than arrest. Under ‘decriminalisation’, drugs are still confiscated. Production and supply to others remain criminal offences that may result in punishments carrying a criminal record, for example a prison sentence, fines or community service. With this in mind, which of the following comes closest to your view of the law in the UK? The law in the UK should stay as it currently is, so that possession of illegal drugs remains a criminal offence. The law in the UK should be changed, so that the possession of small quantities of illegal drugs is ‘decriminalised’, as described. An experimental trial of ‘decriminalisation’ should take place for a limited time period in some parts of the UK, to allow its effectiveness to be evaluated. Q1B. Possession of illegal drugs is currently a criminal offence in the UK. Some other countries have ‘decriminalised’ possession of small quantities of illegal drugs for personal use. This means that possession of a small quantity for personal use is usually punished with fines (like a speeding fine), or attendance at a drug treatment or education programme, rather than arrest. 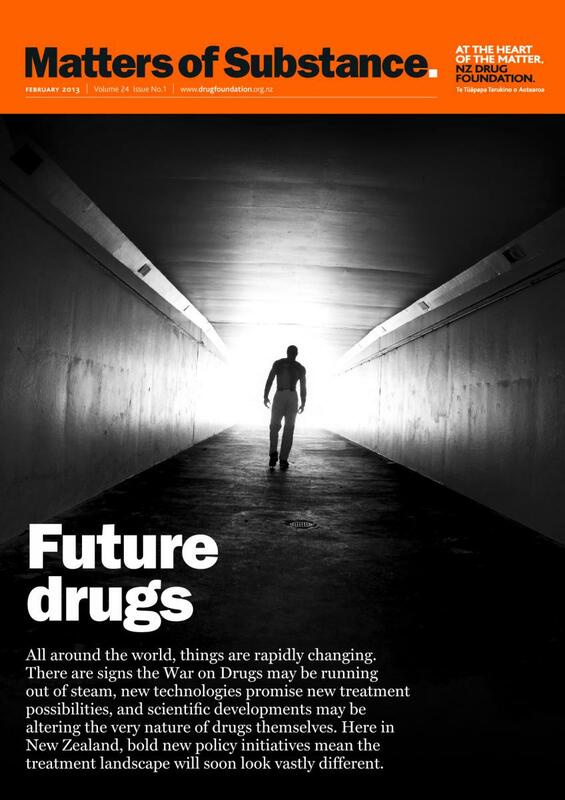 Under ‘decriminalisation’, drugs are still confiscated. Production and supply to others remain criminal offences that may result in punishments carrying a criminal record, for example a prison sentence, fines or community service. Since this was introduced in Portugal in 2001, and resources were instead spent on healthcare, overall use of drugs rose at a similar rate to neighbouring countries. However, there were higher numbers accessing drug treatment, the justice system spent less time and resources on drug-related crime, and there were falls in problematic drug use, and drug use amongst school age children also fell. Q2. 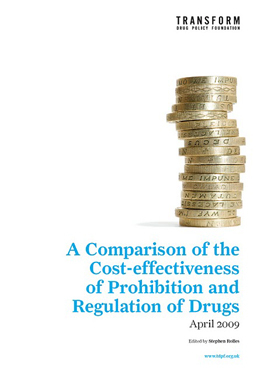 Would you support the government commissioning a full independent review of drug policy, that compared our current system of criminalisation with alternatives, including: increasing the criminal penalties for production, sale and use of drugs; decriminalising drug possession as described; and the legalisation and state regulation of production and supply for some currently illegal drugs? Q3. Here are a number of different options for regulating the production, supply and use of cannabis (also sometimes called marijuana, pot, hash, grass, skunk, weed, spliff or joints). Please read through this card and then read out the letter next to the option which you think best matches how you think cannabis should be regulated. Legal to produce and sell cannabis with minimal control and regulation. Similar to tea and coffee, there is unrestricted advertising and availability. Only basic trading standards and quality controls apply, with prices, location and number of outlets decided by the market. Similar to the current system for tobacco and alcohol, but cannabis is only available from licensed shops or premises. The number and location of outlets is decided by the government, which also influences prices through taxes or setting minimum prices. Packaging carries health warnings, and advertising and age restrictions apply. If you are underage and in possession of cannabis, it may be confiscated. Licensed premises selling the drug to anyone underage will be fined, and may lose their license. All unlicensed sales are illegal and may result in punishments that carry a criminal record, for example a prison sentence, fines or community service. Like controlled medicines, cannabis is only available either with a doctor’s prescription for medical uses, and/or bought over the counter from a licensed retailer similar to a pharmacist, trained to give health information and advice. The government decides prices, maximum quantities sold, and the number and location of outlets. Users may be registered, age restrictions apply. Packaging carries health warnings, and branding and advertising are banned. Any licensed retailers selling cannabis to anyone underage will be fined and may lose their license. All unlicensed sales are illegal and may result in punishments that carry a criminal record, for example a prison sentence, fines or community service. Supply of cannabis is only through the illegal market where manufacture, distribution and sale are unregulated. Those found in possession of a small amount of cannabis for personal use would not be given a criminal record. But the drug may be confiscated, and the user given a fine (similar to a speeding fine), or a requirement to attend a drug treatment or education programme. Production and supply of cannabis to others remain criminal offences that may result in punishments carrying a criminal record, for example a prison sentence, fines or community service. Supply of cannabis is only through the illegal market where manufacture, distribution and sale are unregulated. Production, supply and possession for personal use, or to supply others, can result in punishments that carry a criminal record, for example a prison sentence, fines or community service. Supply of cannabis is only through the illegal market where manufacture, distribution and sale are unregulated. Possession for personal use is always punished with a prison sentence, or a young offenders’ institution for under 18s. Production and supply to others is punished with an automatic life prison sentence. Substantially more money would be spent on enforcement against suppliers and users. 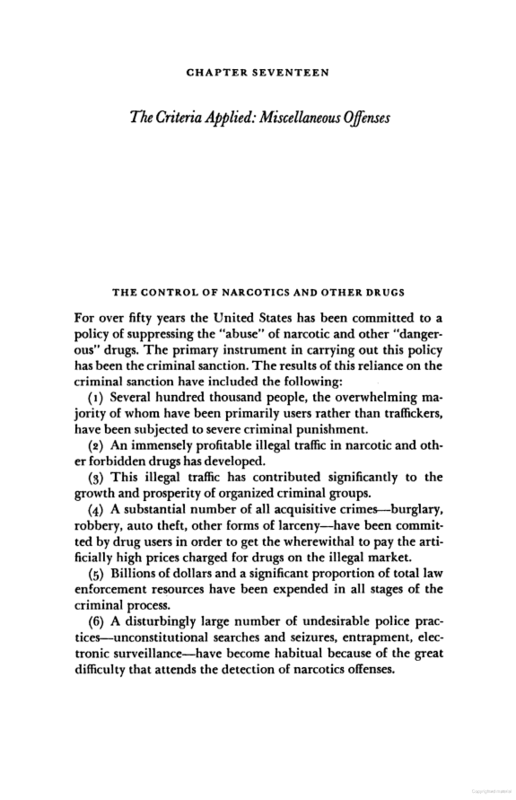 These are pages from 'The Limits of the Criminal Sanction' written by Herbert L. Packer in 1968. It's striking how spot on Packer was, and how little the critique has changed. The only real difference is that the scale of the problems he identifies has become far, for greater. There’s now a new REALLY EASY way to donate to Transform. There’s no admin fee, no commission or running fees and it’s free to text from any network within the UK. So every penny you donate will go directly to us. All you need to do is text TDPF01 £* to the number 70070, replacing * with 1, 2, 3, 4, 5 or 10, depending on the amount you wish to donate. The donation will be added to your monthly phone bill, or deducted from your pay as you go credit. Once you've made your donation please complete the gift aid form (that you’ll be texted). This allows us to claim even more, so if you donate £10 we get £12.50! Please note this service is not yet available if you're texting outside of the UK. If you'd like to make a donation please visit our donations page for more ways to give.